Don’t say I didn’t warn you. 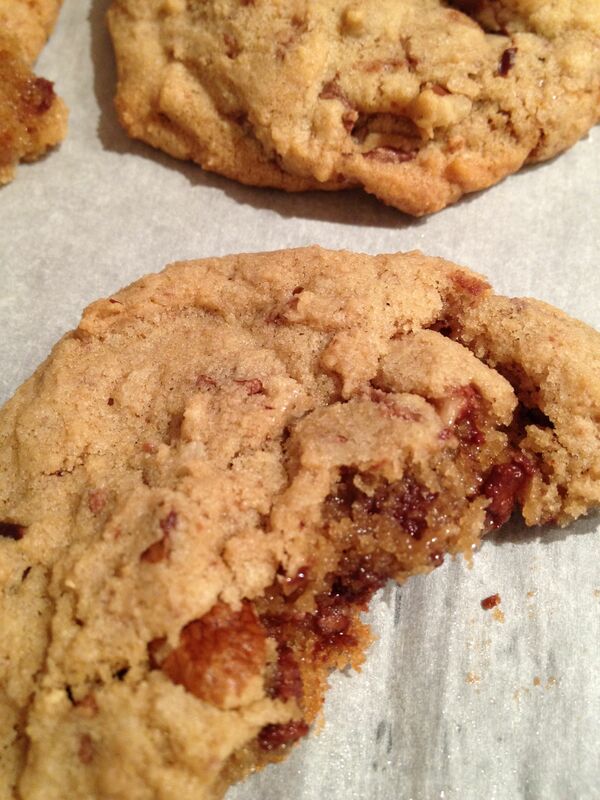 These cookies are highly addictive, and almost impossible to resist when fresh out of the oven. If you ignore my advice and make them anyway, at least don’t do so on an empty stomach. 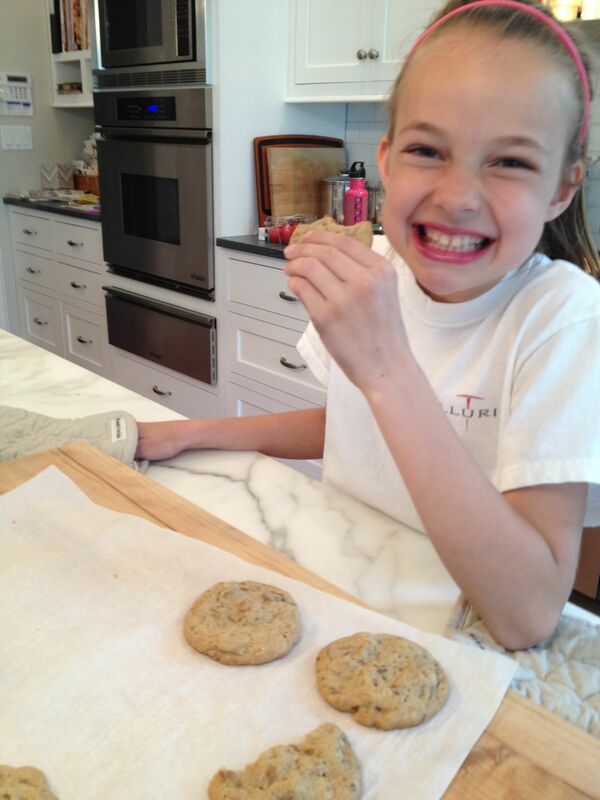 My daughter Leah would do almost anything for these cookies – which are crisp on the outside, chewy inside, and bursting with Hershey’s Mini Kisses, pecans and toffee bits. 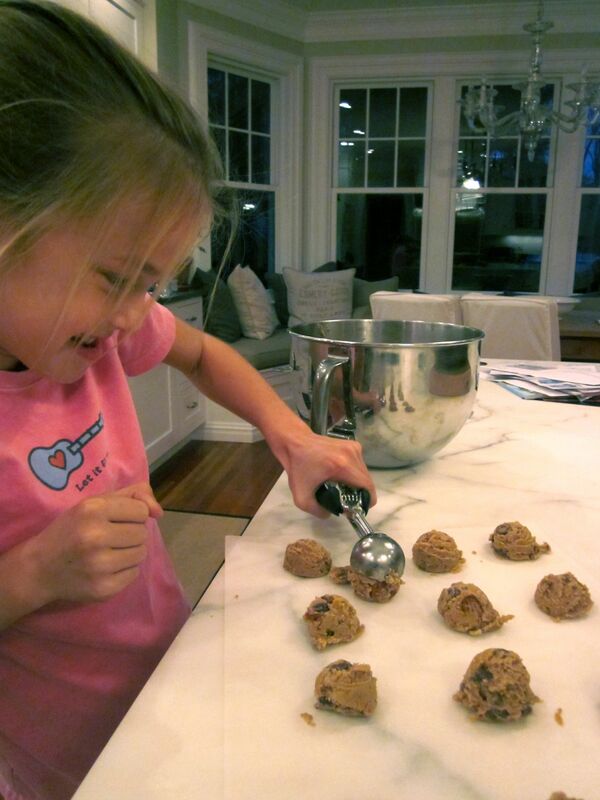 If I were the manipulative type I could bake my way to mommy nirvana – beds made, clothes put away, piano practiced, maybe even cat litter scooped! But of course that would be wrong. I make the kids cookies to show how much I love them. But wait – that’s wrong too! Or is it? 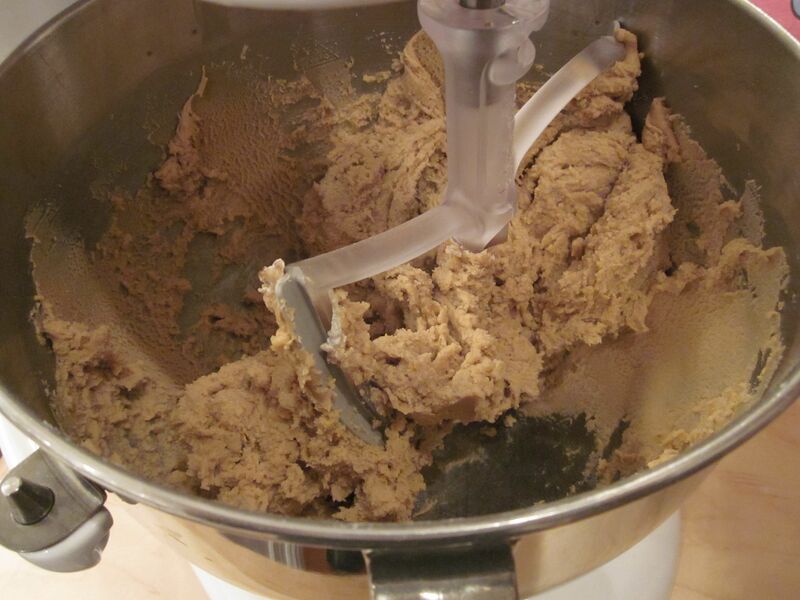 In the bowl of an electric mixer, add softened butter and both sugars. Beat (“cream”) until well combined. Add eggs (crack into a separate bowl so no shell bits get into the batter) and vanilla and beat until light and fluffy. With mixer off, sprinkle baking soda and salt over butter/egg mixture, then add the flour. 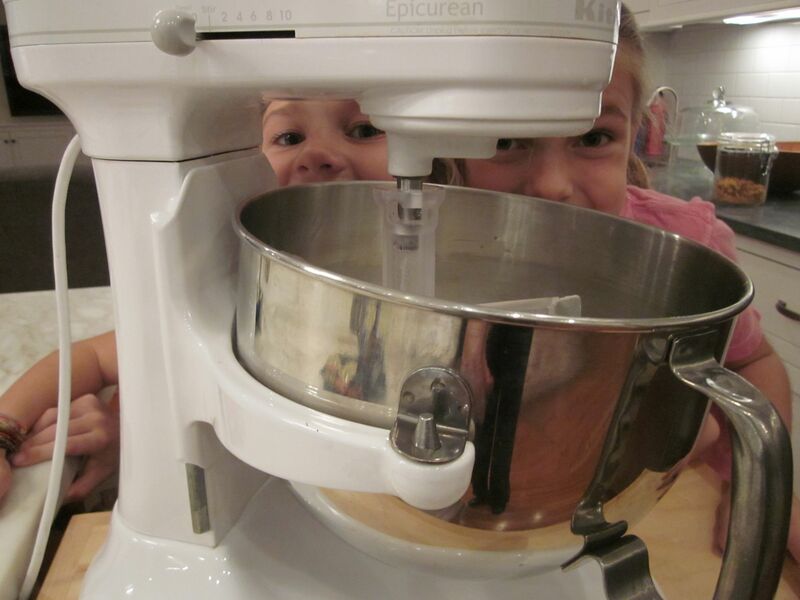 Mix on lowest speed to prevent flour from flying all over the kitchen. 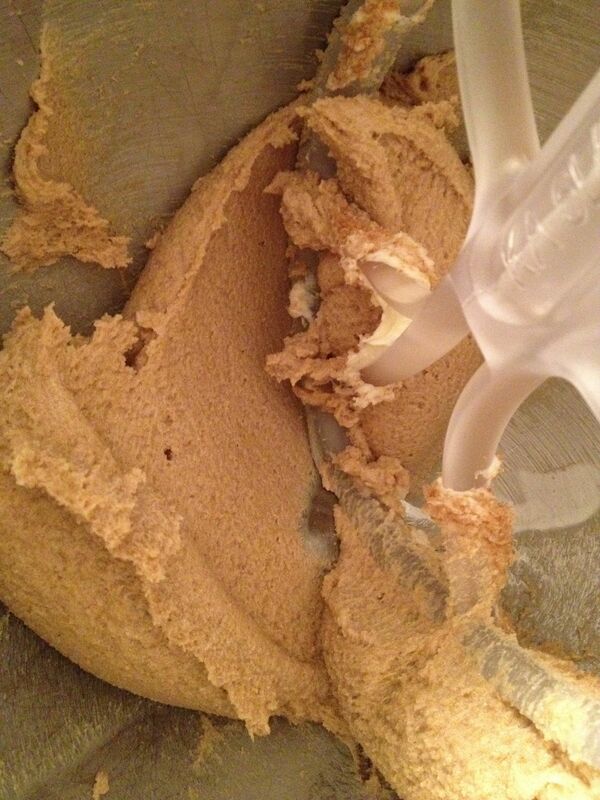 Slowly increase mixer speed just until flour is fully incorporated. 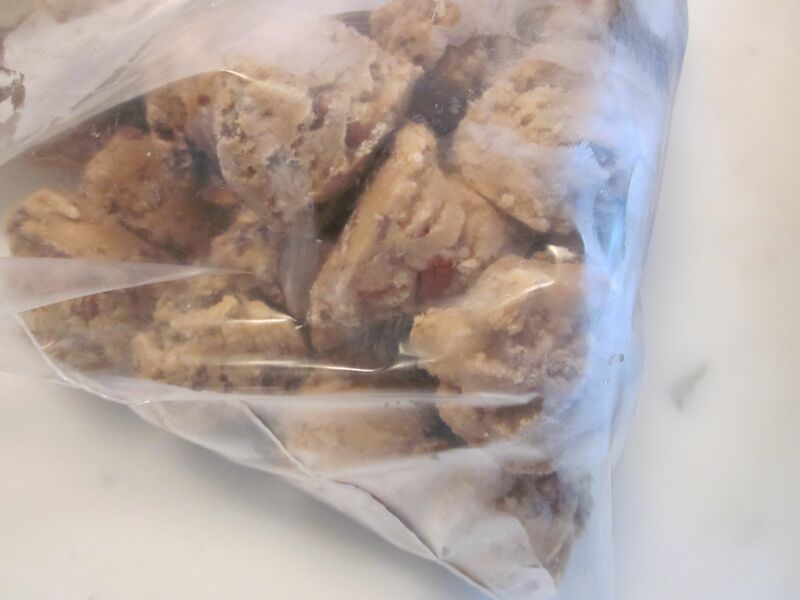 Then add pecans, toffee bits (extra credit for making your own Almond Toffee!) and Hershey’s Mini Kisses. 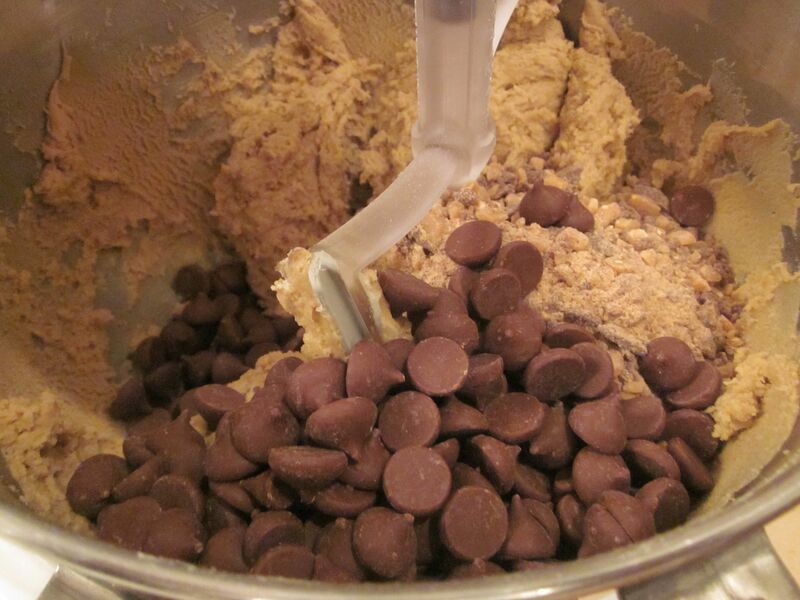 Even the most powerful mixer will groan a little at all this. Finish mixing by hand if necessary. 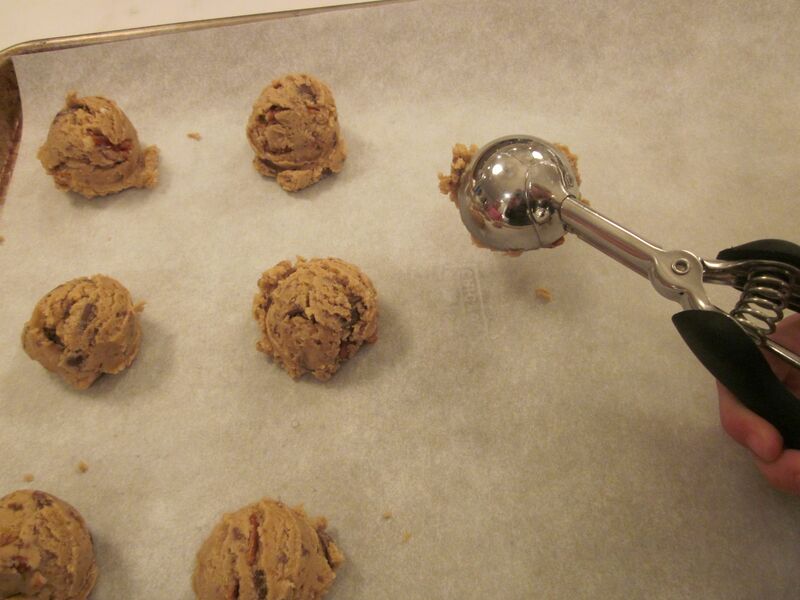 Using a small ice cream scooper or a spoon, form walnut-sized balls. (Gather all inner strength to resist OD’ing on dough.) Place on baking sheet a few inches apart. 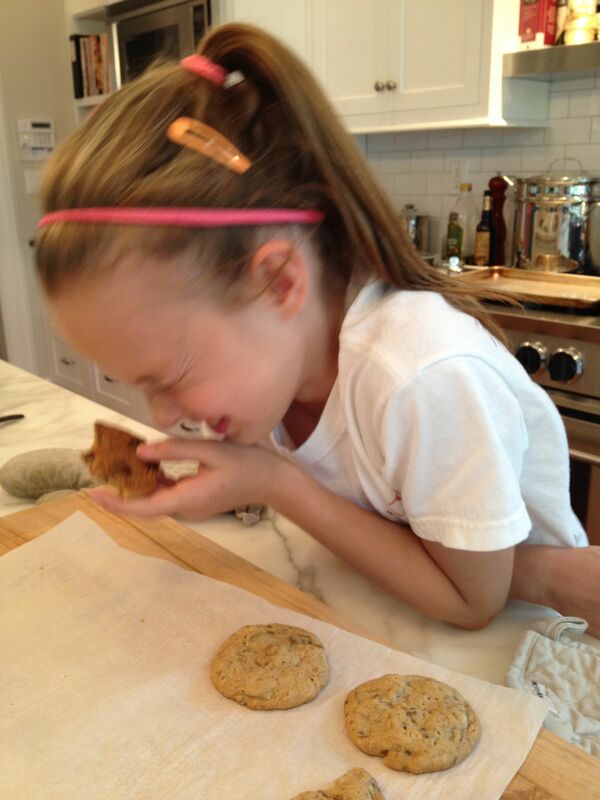 Makes approximately 36 cookies, but we’re usually too busy devouring them to get an accurate count. 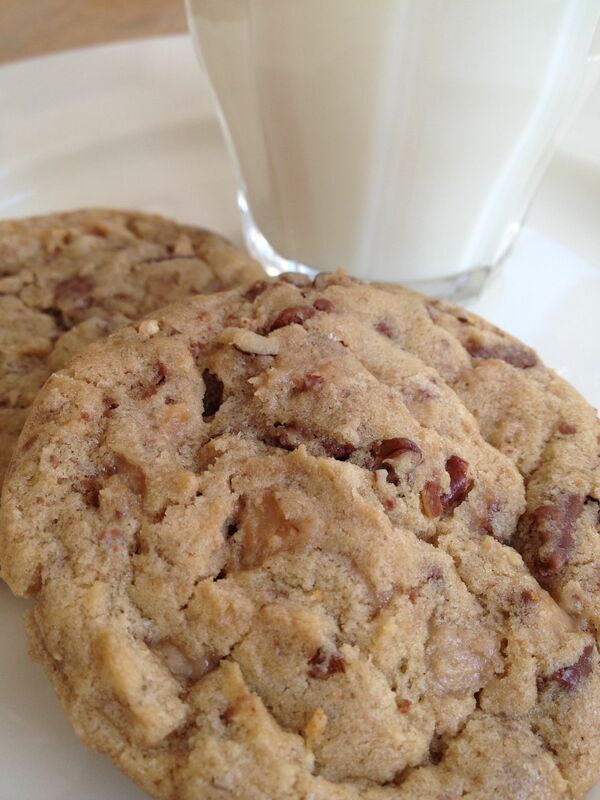 This entry was posted in Cookies, Desserts, Snacks and tagged Best Chocolate Chip cookies, cookies, Heath Bar, Mini Kisses, pecans by subeeskitchen. Bookmark the permalink. Cannot wait to make these! My kids (and me) love anything with Heath Bar! Made these for Christmas-they are the best ever!